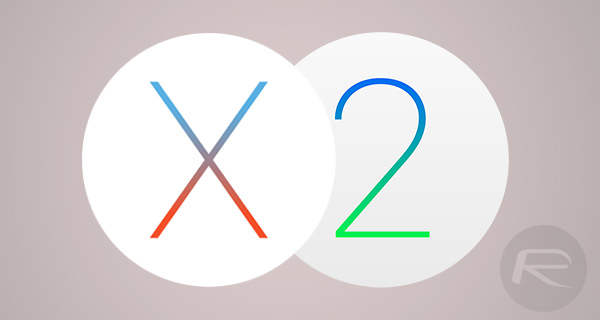 After releasing iOS 9.3.2 beta 2, Apple has now released beta 2 seeds for OS X 10.11.5 and watchOS 2.2.1 to developers registered on the Apple Developer Program. The new beta 2 seeds for Macs and Apple Watch comes exactly two weeks after Apple released beta 1 for testing purposes, and they look to consolidate the said platforms by ironing out bugs and focusing on overall performance and stability improvements. Strangely enough, Apple didn’t release tvOS 9.2.1 beta 2 for Apple TV 4 today. Two weeks after releasing the maiden OS X 10.11.5 pre-release seed, Apple is at it again with the second iteration of the fifth major update to El Capitan. This update is available to registered developers and testers, but unfortunately doesn’t come equipped with any outward-facing changes that users can directly interact with. Rather than focus efforts on looking to introduce new features ahead of the OS X 10.12 reveal at this year’s WWDC in June, Apple is simply looking to consolidate what it already has by introducing security fixes and improve areas that have been identified as problematic since the launch of OS X 10.11.4 a month ago. As usual, this second pre-release seed of OS X 10.11.5 El Capitan can be downloaded and installed through the usual mechanism. This involves heading over to the Mac App Store and going through the software update process if the first pre-release seed is already installed on your machine. If you don’t have the first beta installed, you will need to first head to developer.apple.com and initiate the download from there. watchOS 2.2 released last month added some improvements to the Apple Watch’s underlying firmware. By bringing features such as an improved Maps experience, and allowing greater control through a connected iPhone, Apple ensured that consumers had more power at their control. watchOS 2.2.1, which saw the first beta introduced two weeks ago, is back with a second seed, but doesn’t actually introduce any changes of note. In this instance, Apple has chosen to focus on the obligatory bug fixes and performance improvements that are necessary to take a platform to the next level from a user-experience perspective. Apple’s latest seed of watchOS 2.2.1 can be downloaded and installed through the accompanying Watch app on the iPhone. Simply head on over to the Software Update mechanism within the app and follow the process through. Make sure you have developer profile for watchOS 2.2.1 beta installed on your iPhone before commencing the update. If you don’t have it yet, you can get it from developer.apple.com.